This week the Australian Prime Minister, Joolya Gillard, announced that a royal commission of inquiry is to be held to investigate the abuse of children in the care of the Catholic Church. 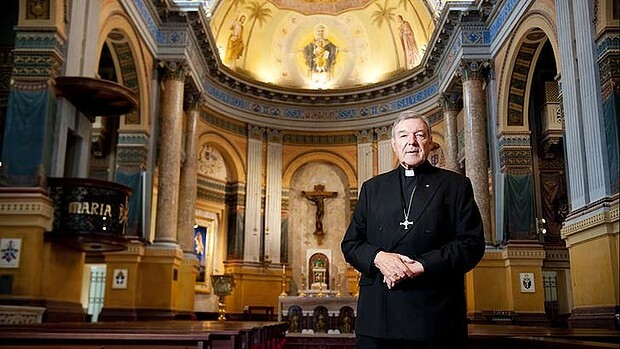 Responding to the announcement, the Archbishop of Sydney, Cardinal George Pell, spoke in the only way a man in his position could do: with grace. Acknowledging that the church might have something of a problem with the apparent proclivity of many of its priests to take more than confession from parishioners, he then suggested that the church was hardly alone in this regard. ‘It’s not like we’re the only ones fiddling the kids,’ he said (or words to that effect). Then His Grace, deftly slipping from one defensive manoeuvre to another like a well-drilled Prussian regiment, turned on the media, exclaiming that none of this furore would have happened if they had done the decent thing and not gone snooping around where they didn’t belong. Now, this is the kind of defence that even a nutcase like Radovan Karadzic wouldn’t have bothered with, but the Archbishop wasn’t done yet. Not only were the media responsible for this – rather than, say, I don’t know, the rampant paedophilic tendencies amongst the church’s clergy? - but they were responsible for further traumatising the victims of the abuse by dredging up suffering from the past. Now, at this point, you really begin to think the Archbishop has some balls – if you’ll pardon the use of that expression in this context – even if he clearly has not a shred of decency or good sense. This, of course, is the same man who suggested that because the confessional is sacrosanct no matter what revelations(!) are aired, priests should refrain from hearing the confession of their fellows suspected of committing abuses. This amounts to an admission that it is more or less common knowledge amongst the clergy that some of their members have certain tendencies (‘Oh look, Father O'Donnell, there goes Father Gerald O’Rafferty, now you know he likes the boys, wink-wink-nudge-nudge….') best not shared in the confessional (because if that happened, then the father-confessor would be put in the invidious position of knowing of abuse but not being able to do anything about it other than recommend many, many, many Hail Marys). But just one second there, old boy…that means that knowing that a certain priest is committing abuse, you should refrain from hearing his confession lest you find out that he’s committing abuse…. George Pell, His Grace, the Archbishop of Sydney - he's amazing. "... and we'd have gotten away with it, too, if it hadn't have been for those damned kids!" Not to mention the pesky journalists! Poor ole George, 'tis a hard life, to be sure.